Did you know that the education sector in Malaysia has the highest national development budget? The government is committed to giving quality education to its constituents. While it is true that the education sector faces many challenges, it is worth noting that it also has some improvements. In terms of college education, the Higher Education Ministry is working hard and that shows in the continuous improvement among universities. According to the Times Higher Education Asia University Rankings 2017, nine Malaysian universities made it to the top 300 institutions. Almost all institutions offering mass communication ensure that students have a good overall experience, right from the admission to their life and study in the university. If you are about to take this course, you can expect to have experienced teachers who were well-trained with their crafts. When you take up mass communication, you can work in a lot of industries and fields. Aside from mass comm itself, the usual program outline consists of subjects on basic photography, film and society, modern electronic media, and introduction to information technology. There are a lot of opportunities for interns and entry levels. You can work as part of TV and radio production. You can even pursue Internet-based businesses such as working as a social media manager. You are also free to pursue a job in the creative industry. Apparently, the salaries will depend on the company, experience, and kind of industry. Compared to other Asian countries, such as China and Singapore, tuition fees in most Malaysian universities are more affordable. A full-term Mass Communication course takes three years. Some universities also offer post-graduate courses, such as a Masters in Communication. The tuition fee range from RM20,000-RM30,000 per year. It varies from school to school and rates may be lower depending on the number of subjects offered per term. Many universities in Malaysia are affiliated with international organizations. This means you can expect a world-class education. It also comes as no surprise that more and more foreigners are studying in Malaysia. There is a rise in international schools. However, it does not mean that other private universities do not offer a good quality education. If you cannot afford to go to an international school, you can still learn from the trained facilitators of public and private schools. The institutions themselves usually offer scholarships to mass comm students. Inquire about the requirements or standards set by your prospect university. Most of the time there is an interview required to avail a scholarship. There is also a deadline for applications. Just check if you are eligible for the scholarship. For instance, an institution may waive up to 100% percent of your tuition fee given that you pass the minimum grade they required. Aside from a good GPA standing, there are some schools that also require students to be active in co-curricular activities. You can also find companies and private organizations offering a scholarship. Have you decided to pursue Mass Communication? The next step is to choose the best university for you. There are so many universities offering this course in Malaysia, so you have a lot of choices. In picking one, take some factors into consideration, such as the city where the school is located, tuition fee, and the university’s reputation. You must fulfill certain criteria to be qualified as a candidate of the CLP examination. You may take the exam given that you hold a law degree conferred by the universities in England, Wales and Northern Ireland and certain universities in Australia and New Zealand. If you are a UK Law Degree holder, you should have at least three credits at SPM or Malaysian Certificate of Education level. Aside from that, you shall have taken a recognized law degree in a minimum of three years of at least 12 law subjects. Applicants should submit an application via the Legal Profession Qualifying Board (LPQB) portal. This is where you can upload the scanned copies of required documents, such as your ID card and proof of application for transcript you sent to your university. Your examination will focus on five subjects: Civil Procedure, General Paper, Criminal Procedure, Professional Practice, and Evidence. The CLP exam is done twice a year. The main examination takes place every July. The supplementary exam is held in October. You may register to sit for the supplementary exam given that you obtained a conditional pass. You are considered as a conditional passer if you failed one subject in the main exam. The LPQB only gives two attempts for a failed subject. The results for the primary CLP exam are usually released in October. The list of passers and conditional passers can be viewed from the LPQB’s portal. Failed candidates may see their detailed results by logging into the portal. The registration fee costs RM3,000 while the exam fees cost RM1,000. You have to pay the fees within 30 days after receiving a letter of offer from the CLP exam director. If you failed the subject after two attempts, but you are willing to repeat all five subjects, you have to pay another RM4,000. Bookmark LQPB’s website or follow their social media pages to receive the latest news and announcements. The site contains all the relevant information regarding the CLP exam. Should you have further questions about the test, kindly check the board’s FAQs. Founded in 1951, this school promises holistic education to their students. They received their accreditations from the Council of International Schools and the Western Association of Schools and Colleges among others. In this school, children of all nationalities are welcome to apply as long as he or she is a full-time Malaysian resident and has at least one parent to qualify for admission. Established 1965, it serves as the first fully accredited international school in Malaysia. In operation since 2011, POWIIS is known for its reputation as one of the country’s most impressive schools. What makes it stand out from others is the fact that it allows students to board at school. Aside from giving quality education to their students, this institution offers families the modern facilities that make them feel at home. Initially a preschool back in 1964, this school has turned into one of the leading international schools in Malaysia after decades of operation. It promises a nurturing environment that helps students unlock their path to success. Dubbed as the most prestigious British International School in the country, it has been around since 1946. It refers to itself as a non-profit educational foundation. Every parent has different goals of enrolling their children in an international school. Some believe that this kind of institution will prepare them for globalization which could help them find better career opportunities in the future. Some believe international schools provide the highest quality of education. Have you selected the right school for you or your children? Inquire to these institutions now and let your child learn from an international school! Upon graduation as a business graduate, you’ll have plenty of choices when it comes to employment. You can either work for a charity, small private company, large commercial organisation, or start your own business venture in practically any field, from tech to fashion. Through the programme’s specialisation, you get to further polish your strengths and skills in many business pathways, such as entrepreneurship, business, logistics, human resource management, marketing, or finance. In other words, you get to be a real expert in something and capitalise on your knowledge, whether through full-time employment or self-employment. A UK business transfer programme typically requires you to learn every area of business for the first two years of your studies, before moving on to a specialised pathway of your choice. Some of the crucial business foundation that will be taught during your first two years include business problem solving, information management, and financial decision-making. Through the programme, you get to do your first two years in Malaysia before finishing your senior year at any partnering UK universities of your choice, based on the business programme you take. This will give you the platform to interact with many people of different nationalities, a must-have skill in business. If your dream is to work at major international companies such as Procter & Gamble, IBM, Sainsbury, Xerox, Barclays Bank, or Marks and Spencer, you’re in for a treat, as you’ll get the chance to work at an international company in the UK. The best UK business transfer programme should at least have partnerships with established UK education institutions, offers an internship programme or other hands-on opportunities, offers specialisation, and teaches you the foundation of business. Taylor’s law programme integrates a compulsory internship into its curriculum to ensure a well-rounded law graduate. You’ll be placed at major legal firms for the duration of three months to put your knowledge into practice. Through its partnership with the Malaysian Bar Council, you also get a hands-on experience. KDU allows you to complete your Bachelor of Law (LLB) at your own pace, with a maximum of five years. Offering international programmes in partnership with the University of London, KDU also allows you to take your exams at any of its affiliate centres globally. INTI has a curriculum and a rigorous assessment under the internal moderator from Leeds University. In addition to a transfer programme to selected universities in Australia and the UK, INTI often receives guest lecturers from the Malaysian Bar Council and partner universities. SEGi College’s Diploma in Law leads to a law degree at either the Queensland University of Technology in Australia or Northumbria University in the UK. Also offering a law programme in partnership with the University of London, you can study law at any of SEGi’s campuses throughout Malaysia. Brickfields Asia College (BAC) Malaysia is an award-winning college that is strategically located near KL Sentral, a huge convenience if you’re a student. BAC offers the fastest route to a law degree and has a Transfer Law Programme where you get to study abroad at any of its 13 UK partner universities for a year or two at a relatively affordable rate. When choosing for the best education institution to study law in Malaysia, you’re advised to look for these five criteria: location, course modules and structure, internships and other real-world, hands-on opportunities, resource costs and tuition fees, and partnerships with established law institutions (local or overseas). These criteria will better guide you in making the right choice. 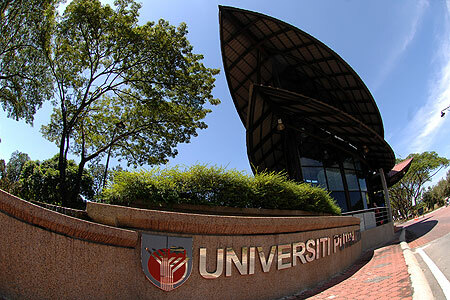 UM is the number one education institution in the country, and its Faculty of Law currently offers law courses at undergraduate and postgraduate levels. Admission is stringent and competitive, so you need to prepare the way in advance. UUM’s School of Law currently offers a few law courses at undergraduate and postgraduate levels. For its masters programme, you can choose to enrol in the coursework-based programme or research-based programme. The National University of Malaysia or UKM’s Faculty of Law offers law courses at undergraduate and postgraduate levels, with the most popular course being LLB. UKM’s LLB programme includes interesting optional courses which you can take, like Nuclear Law, Law of the Sea, Intellectual Property Law, and many others. on learning the Malaysian and English Law, with compulsory hands-on training or internship integrated into the curriculum. SEGi offers Diploma in Law and LLB at some of its campuses in Malaysia. There are currently ten types of scholarships on offer and six types of financial assistance available for you to continue your studies, which you can choose based on your grades or qualifications. BAC is one of the top choices for those who prefer going to a private education institution. For law courses, they currently offer A-Level (Arts) in Law, LLB via UK Transfer Degree Programme, and Certificate in Legal Practice. If you choose to study law at BAC, you get the advantage of graduating before your peers, as BAC offers the fastest track to a degree. Choose your education institution carefully, and see whether it offers scholarships or education loans that enable you to continue your study conveniently. You also need to consider things like its location, tuition fees, and partnerships with established organisations. 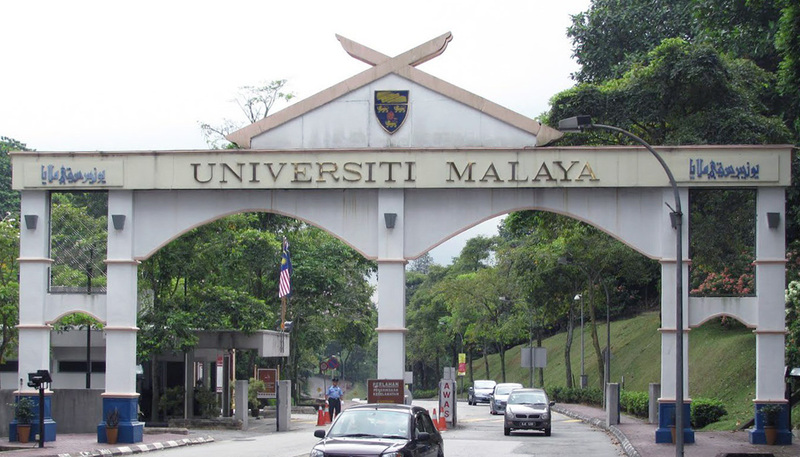 The number one university in Malaysia, UM is one of the top choices among aspiring civil engineers. The oldest university in the country is currently offering two undergraduate courses in civil engineering, namely Bachelor of Civil Engineering and Bachelor of Civil Engineering (Environmental). Both courses are offered full-time with a yearly intake (domestic application deadline is normally in April). The entire course costs around RM 8,550 each. The courses require you to have STPM or a recognized diploma with a minimum CGPA of 3.00. You’ll also be required to undergo an interview session. UPM currently offers one full-time undergraduate course, Bachelor of Civil Engineering. September is the start date for the course, with a domestic application deadline in April or May every year. The fee for the entire course may range from RM 6,000 to RM 10,000. The course has been recognised by the Engineering Accreditation Council Malaysia (EAC), and requires you to pass your STPM with a minimum C Grade (CGPA 2.00) and an MUET certification to be eligible for the course. 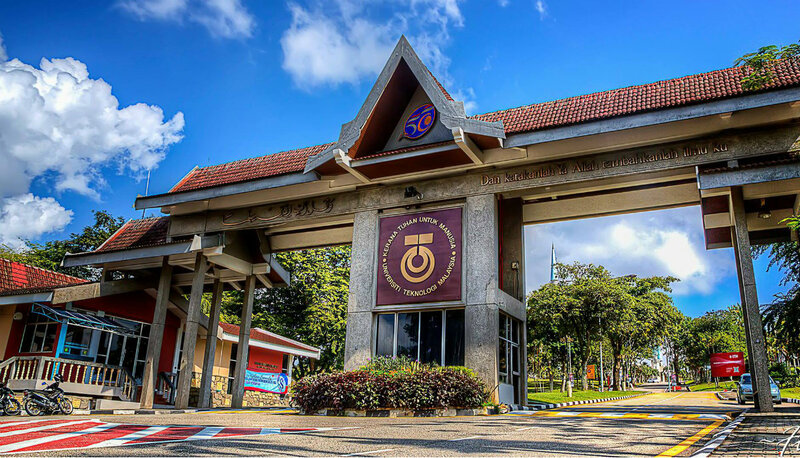 Another popular choice if you prefer to go to public universities is UTM, with its main campus based in Skudai, Johor. UTM currently offers a full-time and part-time undergraduate course in civil engineering, which requires a minimum of four years to a maximum of six years of study. The full-time course is available only at its main campus, while the part-time course is available at its School of Professional and Continuing Education (SPACE) in Kuala Lumpur. There are two start dates for the course, one in February and one in September. The entry requirement is similar to UM and UPM. 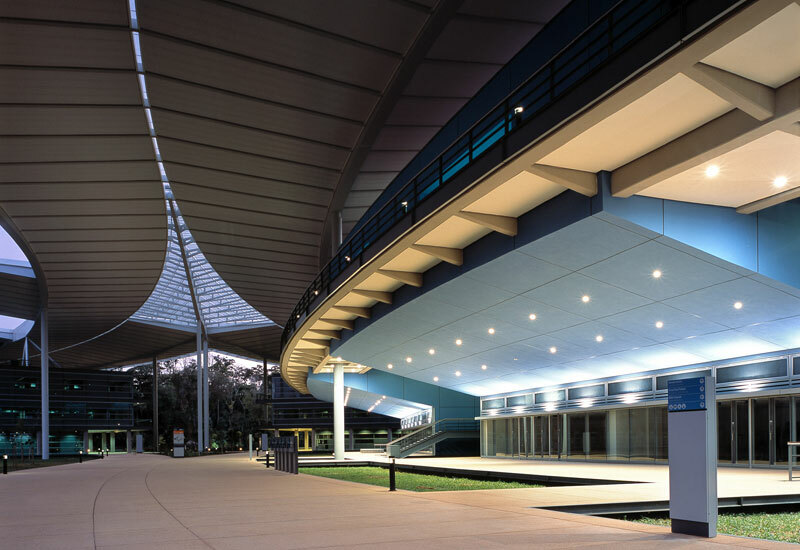 One of the best engineering schools in the country, UTP has some of the nation’s brightest minds studying on its campus. Attracting many bright international students as well, UTP is a highly recognised and respected institution. A UTP graduate can look forward to working with Petronas upon graduation, which offers a competitive salary and other perks. UTP currently offers a full-time undergraduate course in civil engineering. The cost for the entire course is around RM 70,325. You can also look out for Petronas scholarships. IUKL currently offers two full-time undergraduate courses in civil engineering; the Bachelor of Civil Engineering (Hons) and Bachelor of Technology (Hons) in Water and Wastewater. Each of the courses could cost around RM 60,000 and above (for the entire cost), with a starting date in March. For those who want to study at an international university, the University of Nottingham Malaysia Campus offers a full-time undergraduate course in civil engineering. The start date is in September, and the course costs around RM 45,700 per year. As a civil engineer in Malaysia, you get to build the nation for a better future. You have the ability and the opportunity to influence the government and the higher-ups through your projects, be part of something bigger than you are and work in close collaboration with firms or government bodies that run multi-billion dollar worth of projects. If all of these sound enticing to you, explore more engineering courses in Malaysia and the opportunities they offer. Biomedical science is the study of the human body including its structures and function in health and disease. A person who will take this course is expected to learn and understand various branches including microbiology, pharmacology, biochemistry, anatomy, neuroscience, infectious diseases and molecular biology, among others. The human body is a complex structure composed of a broad spectrum of processes and unbelievable systems. Studying all these processes is a true art and science in one. Asia has become one of the leading continents regarding providing quality education. In Malaysia, students across the continent are enrolling in the various universities, looking forward to taking the courses they like, including biomedical science. This is one of the hottest courses to take this year. Here are five reasons biomedical science is a good career to pursue. If you become a biomedical scientist, you will study how cells, organs, and systems function in the human body. This is truly an exciting area that is pivotal to the understanding of human diseases. In the long run, you can be part of those looking for treatments of various diseases across the globe and that’s truly a job worth trailing. Biomedical science in Malaysia has so much to do with research. It’s the way and means for scientists to come up with innovative and groundbreaking treatments for various diseases. If you want to take part in the researches and studies that aim to help other people, this is the right course for you. With all the knowledge, training and skills of a biomedical scientist, you can help many people across the globe who are suffering from diseases. After you graduate, there are many job opportunities for you in the field of public health, forensics, pharmaceutical, medical research, and veterinary. Biomedical science can become your ground or stepping stone for further medical training. You can take this as a pre-medicine course if you want to become a doctor someday. Biomedical scientists are an integral part of the health care system, and they work hand in hand with other health care professionals to care for patients and to help other people who are suffering from diseases. Taking this course will surely enable you to hone your knowledge and skills. What’s more, by giving your efforts to develop a cure or treatments for various conditions, you can take part in changing the world. Ever since English became the global lingua franca or the most common language used around the world, everyone wants to be able to master it as a personal and professional skill to have. We cannot tell how long it will take for a person to sound and write like a native speaker. While it would depend on the individuals, we can actually speed up the process by making sure a child learns English when he or she is in school. Attend an English school, if possible, or enroll your child in an intensive course program which would take years to complete. By the time he or she finishes with school, his or her English course will be completed as well. The most common mistake made by Malaysian students when it comes to learning English is not practicing it often enough. For beginners, it is very important to focus on pronunciation and hearing. If your child is only hanging out with other Malaysian students and speaking the local language, he or she will never be confident enough to talk to native speakers. Someone who spends four years abroad could still come back with a thick Malaysian accent because he or she never really tries to assimilate with foreign students. Choosing a native speaker from an Anglo-Saxon country to be your child’s teacher would be a good start to “force” the kid to communicate only in English. If you are not a good English speaker, it would be a bad idea to try teaching the language yourself. However, if you have foreigner friends, you can invite their children to have regular play dates with your child. That way, your little ones will be more comfortable and confident in using English as their second language. Taking an English comprehension test is not merely to obtain the score but also to realize one’s strength and weakness. A lot of times, people could over-estimate themselves and become too lazy to learn because they do not think they need it badly. Whether it is a paper-based or computer-based TOEFL, IELTS, or other kinds, it does not really matter in the beginning. The more important thing is for your child to enjoy and learn from the journey. Sometimes, we cannot measure our English competency level until we know how well the English-speaking people understand our choice of words and how well we can respond to them. By sending your child to an international summer camp in Australia, for example, he or she will not be able to use a mixed language anymore because no one would understand it at all. Other than that, your child would also learn to match the rhythm, intonation, and word linking of a native speaker. Practice and familiarity would be two important aspects to improve one’s language comprehension. You can implement these tips, but it would entirely depend on your children to absorb the lessons and put them to good use. The course prepares you to teach at nursery and pre-school levels – An ECCE Diploma will prepare you to meet the challenges and demands faced at nursery and pre-school levels as a professional teacher, whether you’re teaching in the private or public sectors. The course is structured to enhance and improve your teaching skills and pedagogical abilities, in addition to equipping you with other necessary expertise and knowledge in management and curriculum planning. ECCE Diploma provides you with the right learning and teaching approaches – The undergraduate course will help you gain competencies needed to identify the best learning and teaching strategies for children. It will also guide you in engaging professionally during your early childhood career. You’ll graduate with essential skills such as a strong grasp of experiential and project-based learning, expertise, and a firm understanding of children’s psychology; to ensure your capacity of coming up with a high quality education plan. Career opportunities after an ECCE Diploma – Upon graduation, you can either continue your education or start working in the childhood-related fields. Some of the things you can look forward to include gaining employment and teaching at reputable local or international schools that specialize in early childhood care and education, consulting for childhood-related organisations, running an educational product development research, and owning or managing a nursery or pre-school. Minimum entry requirement for the course – To enroll and get a diploma in ECCE in Malaysia, you need to meet the minimum entry requirement of five credits (SPM or O-Level), preferably in subjects such as maths, science, English, or Bahasa Malaysia. It also helps if you’re good in creative subjects like visual arts and literature, as these may come in handy when you’re coming up with your lesson plan once you enter the workforce. When it comes to teaching children, you also need to have positive emotional traits like patience, calmness, kindness, and being friendly and soft-spoken; as dealing with kids requires a different kind of approach and mental strength, especially if they have disabilities. Additionally, other skills like problem solving or interpersonal communication skills will make your work life easier. With the ECCE qualification, you get to give back to society and to help groom the country’s future generation; a massively challenging but rewarding task only truly passionate teachers can undertake. Discover kindergarten in Malaysia and get the best early education for your children.